Note: Date Change! Transportation has consistently been identified as an ongoing problem for people with disabilities impacting quality of life and participation in communities. In an effort to increase equitable access to transportation, this webinar will highlight new initiatives focusing on a shift towards mobility management, current research initiatives using mapping that analyze transportation disparities for people with disabilities, and use of transportation data to create potential for community action. 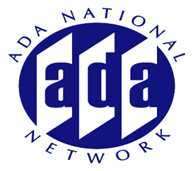 This webinar is sponsored by the Great Lakes ADA Center in collaboration with the ADA National Network and ADA Participation Action Research Consortium (ADA PARC).